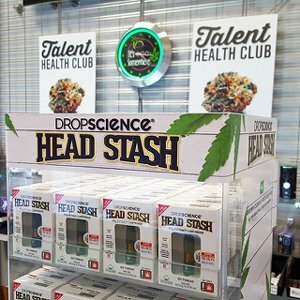 Just arriving to the #talenthealthclub shelves is the one and only @dropscience #headstash #cartridges! These guys are #nugrun #co2 and are some of the prettiest cartridges you ever did see! Come & check out the variety of flavors on the shelf!.